Part of what makes Hawaii unique is the ecology of the islands. Many plants, animals, and insects are endemic to the archipelago; you won’t find them anywhere else but amongst the sand, surf and rain forests special to the state. Others can be found throughout the Pacific, but are endangered species; only a small number survive in the world. The Big Island is a wondrous place; it is host to many of Hawaii’s native and endangered species. 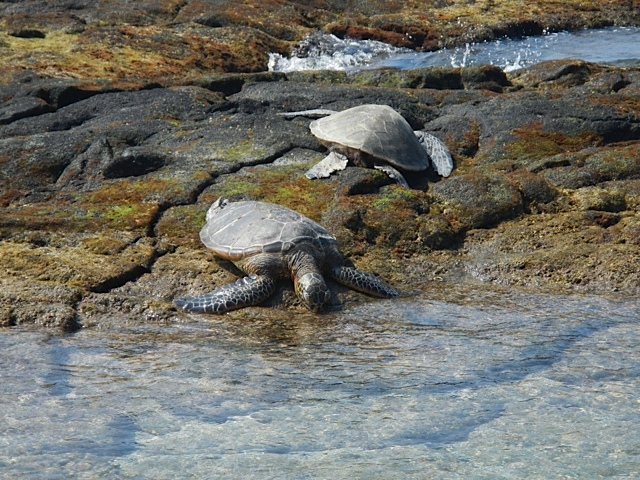 At Hualalai, one of the most frequent visitors to the lava-covered shores is the Hawaiian Green Sea Turtle. 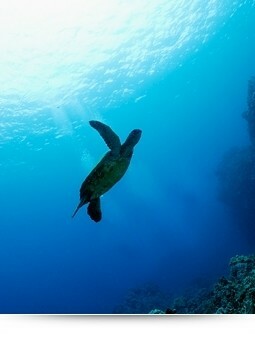 The green turtle, or Honu in Hawaiian, is listed as endangered by the International Union for the Conservation of Nature. In 1978, the Hawaiian population of the green turtle was listed as threatened under the U.S. Endangered Species Act of 1973. You may enjoy watching them, and photographing them, but you must keep a distance of at least 20 feet away. Following these rules will ensure your stay at Hualalai Hale to be a pleasant one for both your family and ocean life.